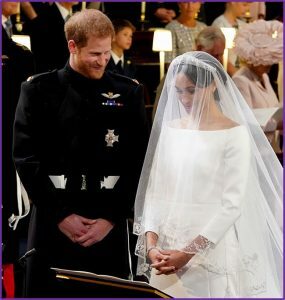 Were you one of the 11.5 million people who tuned in to watch Prince Harry & Meghan Markle’s recent wedding? I thought the whole day was amazing – from the ceremony itself, the moving address from Bishop Michael Curry, through to the royal carriage procession, and not to mention the glorious weather! However, I also rather enjoyed seeing what everyone wore. Meghan’s dress, a simple, elegant Givenchy gown was stunning, but there were also some other show stopping outfits. I think most commentators thought that Amal Clooney stole the show in her bright yellow Stella McCartney dress, and I agree that she absolutely glowed from head to toe, the warm colour perfectly complementing her warm skin tone. For me, however it was Kitty Spencer and Sofia Wellesley’s ensembles that got 10/10! 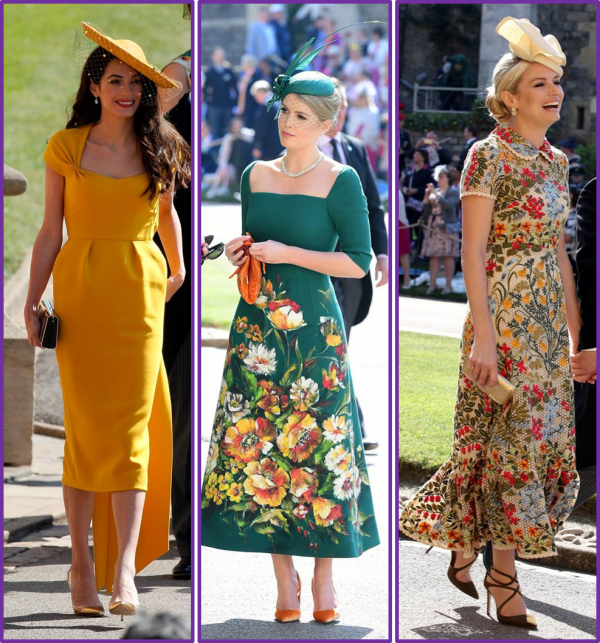 In both cases they chose colours that really suited them, and both gave a nod to the trends for midi length dresses and florals. I liked the way that Kitty accessorised her outfit with orange shoes and bag – just gorgeous. Plus both chose head pieces that were stylish without being too OTT! 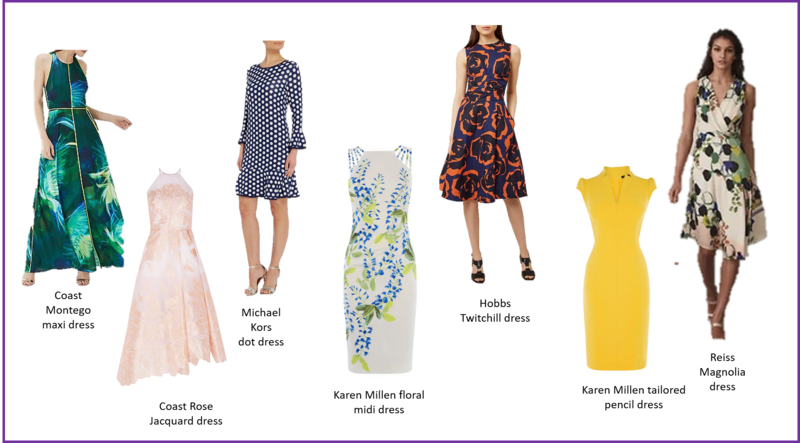 If you are a guest at a wedding this summer then why not take a leaf out of their books and choose an outfit that oozes style whilst also flattering your colouring and body shape. You don’t have to have to break the bank to do so, as it’s honesty possibly to look equally good on a budget (I’m a dab hand at it! ), and most importantly it’s about finding an outfit that really feels like ‘you’ – one that you’ll look great in but also be comfortable in all day. I’ve included a few examples of high street options below to whet your appetite. If you’d like to take the stress out of finding your outfit just get in touch or book a colour and/or style consultation to learn which colours and styles of clothes will suit you best. Oh, and finally, whatever you wear, don’t forget to wear a smile! For me, no matter what Victoria Beckham wears it loses its appeal as it’s not accompanied by a smile!